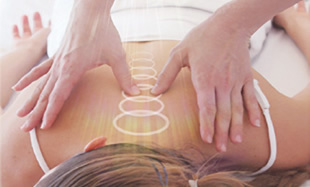 Harmonyum III is an advanced application of the Harmonyum Healing System. It works with the body's natural processes to heal and open the heart by purifying it from all suffering, pain and destructive energies. One Harmonyum III healing treatment can be as effective as years worth of therapy. It accesses the deep recesses of the heart where deeply rooted negative patterns are stored, to release everything that is not beneficial to the system and fully repair itself. Level III Harmonyum Healing is particularly effective when the origin of one’s disease or health challenge is unknown. Contact us at (917) 450-2845 or email [email protected]. Harmonyum® is the healing modality of the future. It is a gentle, healing and non- invasive process that releases a huge amount of divine love, peace and light healing energy in the recipient. Harmonyum brings self-awareness, which liberates a person from destructive habits, to be free to make positive, healing changes. Contact us at (323) 638-9349 or email [email protected]. The Lifestyle Course is a simple, comprehensive program for people wishing to improve their life. Its called The Lifestyle Course because being happy, creating a life you love, being fulfilled don't happen by chance, Rather they are the result of conscious changes in awareness and lifestyle that allow us to experience the success we desire in our Health, Career, and Love Relationships. The Lifestyle Course gives you practical wisdom combined with simple time tested techniques to positively impact your life AND to understand why things are going the way they are in your life and how you can change them. The word "Lifestyle" is also a nod to the newly emerging field of lifestyle medicine, which encompasses health through nutrition, exercise, yoga, meditation, and mindfulness in thinking, feeling, acting and attitude. HEALTH: Learn practical tools to improve your health and prevent future challenges. CAREER: Bring out your best self at work, understand your employees/employers, chart a path for success. LOVE RELATIONSHIPS: Create amazing love relationships and avoid the unseen pitfalls of trial and error in love and dating. HAPPINESS & SPIRIT: Discover simple tools through breath, yoga and meditation to be happy and in tune with the universe around you and how to stay that way. The 4 pillars of this course offer authentic, powerful teachings that can help you be the best you can be. We hope you will join us. This training explores the spiritual and physical mechanisms that take place in the mother’s womb, and its potential to act as a powerful catalyst for healing and transmutation. In Kabbalah of Birth and Beyond, you learn the cosmic energies that affect the conception, development, birth and development of a baby, as well as how to accelerate the spiritual evolution of the child that is to come. This wisdom will also empower you to express your true nature. Much of this knowledge comes from Divine Spiritual Wisdom and has not been published or shared elsewhere. It is being revealed now so that we can understand how to use the spiritual gifts we have been endowed with to deeply and positively impact the future of the baby to come, the family’s future, and the future of our planet. Let us take our place in the history of humanity to create the platform for the generation of love. The Kabbalah of Birth and Beyond delves into the heart of Divine Spiritual Wisdom, revealing how it can be applied to transform a man's seed into genetic gold by charging it with high grade light. This course will also explore the different mechanisms of the womb and its potential to act as a catalyst for healing transmutation. As the soul descends from the unseen to the seen world, it experiences the will of the seven spirits of God. These seven spirits show the dynamic process of nature. Gaining knowledge of the role they play during the descent of the soul helps parents penetrate the mysteries of creation so that they are able to help their child experience Divine grace. This training will reveal time-proven formulas that heal the seed of the soul with Light and Love. When you study Divine Spiritual Wisdom, you are blessed with precious knowledge and uplifted by its heavenly embrace. During this course of transformation, healing and expansion, we will learn how to apply the principles of Universal Kabbalah to the dynamic relationship between mother and child, from preconception through pregnancy and birth, to parenting. In addition, the vital role of the father will be examined from the unique perspective of the child. Leaving "no stone unturned," this course will give you the key to the collective healing of the future of humankind. • The rapid physiological changes in a woman’s body as she goes through pregnancy, and how best to accommodate those changes. • How to create a prenatal Naam yoga class and adapt your regular yoga classes for pregnant women. 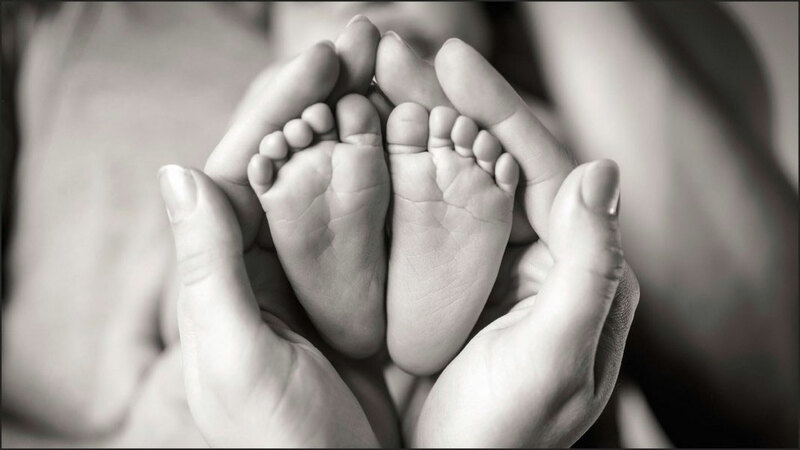 The feet very accurately reflect our physical and emotional health and well-being. In order for us to truly comprehend our place in the universe, it is essential for us to understand our feet and their purpose. The healing science of Naamflexology allows us to be ever mindful of our harmonic connectedness with the Cosmic though the divine wisdom contained in the feet and is a comprehensive science for complete healing of mind, body, and spirit. In this course you will learn how the seven planetary bodies that sit before the throne of God govern all of the kingdoms of the macrocosm. On a grand scale, these heavenly bodies manifest themselves through the twelve signs of the zodiac and give birth to the twelve doors (DALET in Hebrew) of creation. Through each one of us, the seven planetary bodies express themselves as the twelve forces of the human soul and act as passageways for the circulation of salutary cosmic movement. These conduits carry the healing and constructive energies that are the very creative forces of God Itself, and therefore provide a great key to our healing and wellbeing. In addition to the static locations that are depicted in foot reflexology charts, Naamflexology utilizes moving pattern maps that run through the feet. These patterns are the result of a complex combination of factors including the unique gravitational force exerted through the feet onto the ground, body weight distribution, posture, standing and walking characteristics, choice of shoes and much more. These patterns have an effect on the entire body and can be addressed through Naamflexology. Additionally, Naamflexology draws upon a little known Biblical and mystical understanding of the feet. The treatment techniques that comprise the Naamflexology system are the result of integrating these seemingly separate factors into one combined program. When you walk a pattern emerges that is made up of forces between the body and the ground you walk on. The laws of physics describe this moving heel to toe dynamic, as a complex mixing of body weight, biomechanical factors, and gravitational influences of the sun, moon and earth. The brain reads all of this and creates a body map on the feet that can be used in healing. The idea for the body map was documented in the ancient wisdom of Chinese Medicine, Ayurveda, the Egyptian texts and in the teachings of Kabbalah yet exists within the scientific paradigm. Other factors that affect how this body map works are the nerves of the legs, dermatomes, Chinese meridians of the legs, foot bone structure as well as the amount and distribution of contact the feet have with the ground. The energy pattern of each foot is unique and is not static. 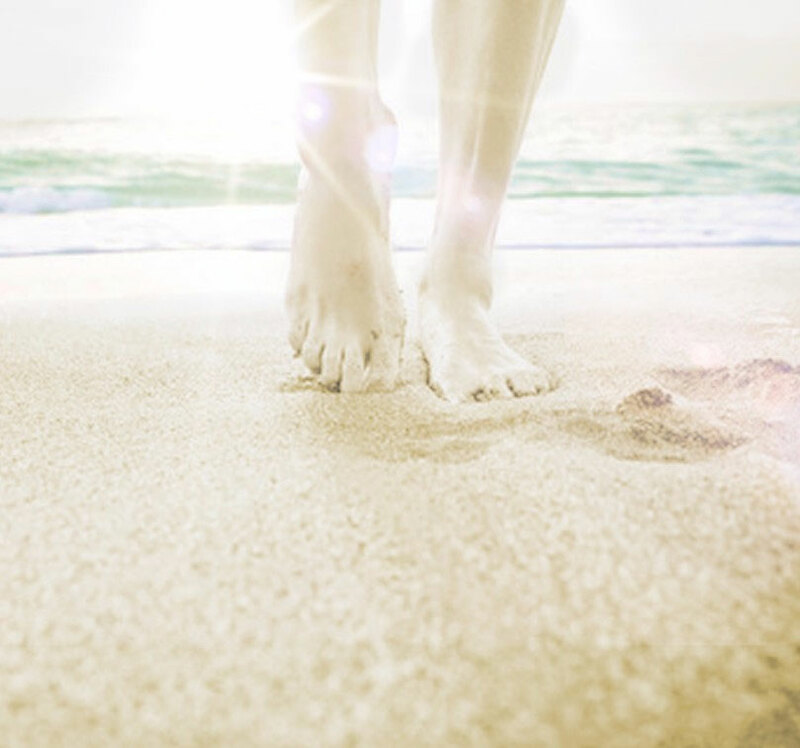 Not only are there representatives of each body part on the feet but the feet also reveal the unique moving pattern that is related to the distinctive energy transfer to and from the ground that can be felt in physical, emotional and mental health. Naamflexology was developed for the purpose of improving how the feet relate to the Earth as well as for directly promoting whole body health through the body map. Naamflexology Certification Course - The curriculum is comprised of both live in person hours and an online curriculum. Two Day Live Portion of the Course - During the live, two day portion of the course, students will have time to learn, receive and give the Naamflexology technique, receive Divine Spiritual Wisdom about the feet and learn important techniques for strengthening your energy field. Students will receive manuals containing medical and practical educational information for study and reference and more. The online portion of the class will contain a video on methodology that can be utilized repeatedly to perfect the treatment. Other videos include safety information on the feet, biomechanics of the feet, anatomy of the feet and more. Practice sessions, online quizzes, study of the manual and viewing of the videos are all required to earn a certification of completion. Purpose: To provide an in depth understanding of the science of Shakti Naam with the specific skills and techniques needed to teach a Shakti Naam Yoga Class. Such as, yoga asana, sound, mudra, breath, and necessary educational material of Anatomy/Physiology, Universal Kabbalah and Methodology. During this course students will experience what it is to have a daily meditation practice. Students will teach practice sessions to each other and learn the language and principles underlying the Naam Yoga Level 1 syllabus and curriculum. Pre-requisites: New Students are welcome for the program it's best to have taken at least 5 Shakti Naam classes prior to enrolling. Upon Successful Completion: Once students successfully complete all elements of the Naam Yoga Level 1 LA Extensive Course (Discover through Certification), they are considered a Shakti Naam Yoga Teacher. At this point they can teach Shakti Naam in private or public settings. These students can also say that they have completed a 200 hour yoga training from a Yoga Alliance registered school. 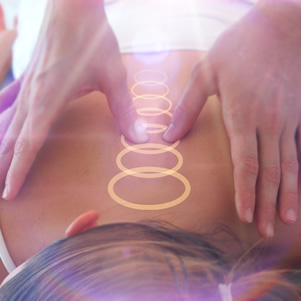 Harmonyum I is a highly sophisticated, gentle and non-invasive healing system that directs the pristine energetic forces concentrated within the human body in the service of physical, emotional, and mental healing. As a recipient, one experiences light touch along the spine while fully clothed. Receiving Harmonyum I on a regular basis liberates a person from destructive, self-sabotaging habits, freeing and empowering the recipient to make positive, healing changes in their daily life. What will I learn at the Harmonyum I training? How will I benefit by becoming a Harmonyum I practitioner? It is through both giving and receiving Harmonyum I that practitioners begin to realize its authentic capacity to align and harmonize all bodily systems: digestive, nervous, cardiovascular, lymphatic, glandular and respiratory, as well as our emotional and mental bodies. As these systems resonate in joyous alignment, one’s life becomes an expression of strength, serenity and health, free of the limiting conditioning of our past. There is no better gift we can give each other than an expanded state of wellbeing and peace. What is the schedule for the Harmonyum I training? The secret to longevity, harmony, lasting health, a strong body, a quiet mind and a happy heart. The Naam Yoga 200hr Level I intensive program (EVOLVE) offers enrolling students the unprecedented opportunity to complete the first 3 components of certification in just 22-days (July 3rd to July 25th, 2019). The training will be located at the Mia Reef Hotel in Isla Mujeres, Mexico. EVOLVE is a total immersion of movement, sound, breath-work, meditation and the wisdom of Universal Kabbalah. EVOLVE has 4 components that need to be completed in succession prior to certification. 2. RISE: The Knowledge Course (85hrs) - advanced wisdom to go deeper into the Laws of the Universe that govern our lives. 3. TEACH: The Practicum Course (85hrs) - 1st certification segment of the Naam Level I program where you learn the fundamentals of teaching Naam Yoga. 4. SHINE: The Certification Course (85hrs) - 2nd certification segment of the Naam Yoga Level I. During this 9-day intensive at Naam Yoga LA in Santa Monica, CA, you receive advanced guidance and tools to become a successful and powerful teacher! Shine will start with an evening webinar on February 6th and the 9-day training module will take place from January 24th to February 2nd, 2020. Registro cerrado para este año. Visita enlaces siguientes para las próximas fechas del programa.